JR Monaghan’s opened a few months ago to fill a niche in the Main Line dining scene, that of a semi-respectable, family-friendly sports bar. With tons of TV’s, loads of autographed pictures and beer pitcher specials every night, they’ve gained quite a following (1,2,3). As for the burger, it was perfectly char-grilled 1/2 lb patty, set on a slightly toasted bun, swathed in two pieces of white American cheese and topped with ketchup, mmmmm. Oddly listed as “Certified Angus Brand Beef,” the burger was very flavorful and cooked perfectly medium. This is the second time I have seen the word “Brand” in the description of a burger on a menu recently so I will make the leap that these are produced off-site, under the auspices of some Angus Beef oversight committee – (note: turns out you can trace them back here-> click). 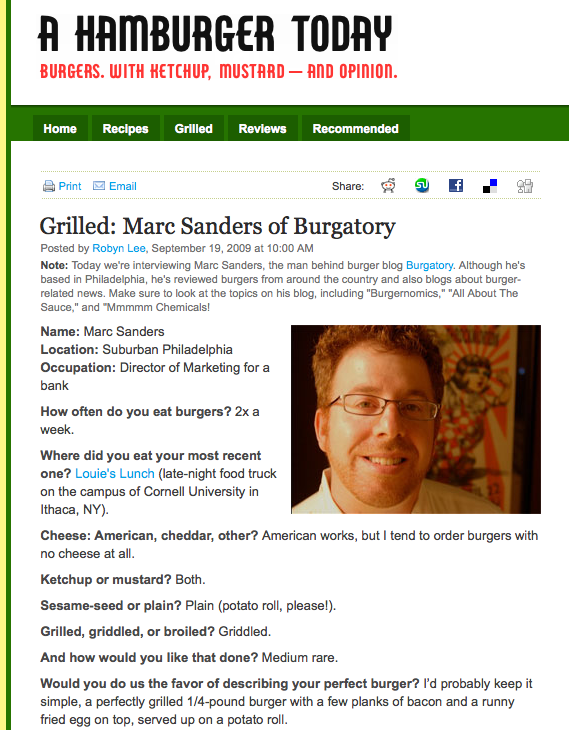 This isn’t a bad thing, but might scare away some burger purists who prefer their patties formed by hand on-site. So quality control and predictability go up (in this case, the taste was perfect) but the subtleties of shape and personal attention are lost. I’d be curious if anyone has any thoughts about the idea of “brand” and burgers. Taste is king though, and this burger was a winner. Served at lunch with a side of crispy steak fries for $6.99, it is on the bargain end of the scale for an pretty upscale tasting burger. I’ll be back for sure. I work at J.R. Monaghan’s, thanks for the great review!! It would be awesome and much appreciated if you could post another great critique on Yelp! !